Professional quality lighting systems are unlike the products that you will find in the home center stores. Most of our materials are solid brass and carry a lifetime warranty. Because each home is custom designed, prices will vary greatly; however, basic lighting systems with up to 10 lights start at $2,000 for the complete package. The average lighting system usually consists of 15-20 fixtures (front or back yard only), and will range from $3,300 to $4,975. Larger estate homes requiring 35 – 50+ fixtures and multiple transformers can be $8,000 – $12,000 or more; therefore, professional lighting systems are a significant investment in your home and you should choose your contractor wisely. 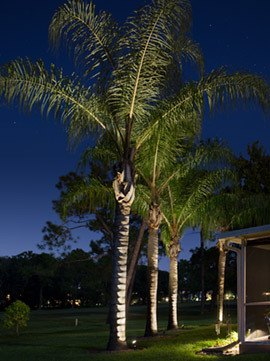 We have been the premier lighting company in Northeast Florida since 1999 and we have thousands of extremely satisfied clients. We are licensed by the state, and fully insured for your protection. 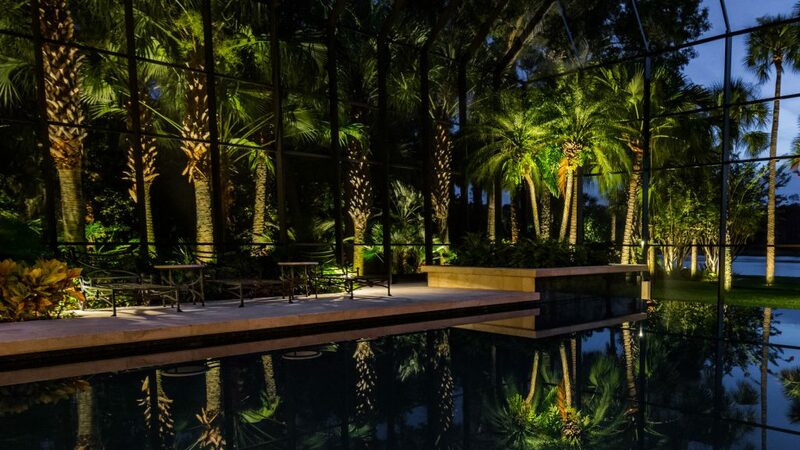 Our lighting designs can be found in most upscale communities because discriminating homeowners and builders know the quality that Johnson Landscape Lighting will provide.